What is the maximum amount of deposit a landlord can collect? RESIDENTIAL. A landlord cannot collect a security deposit equal to more than one and one-half month’s rent. A security deposit does not include nonrefundable cleaning or redecorating fees, but does include refundable cleaning and redecorating deposits (or any other type of refundable deposit, i.e., refundable pet deposit). 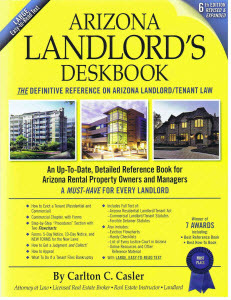 Therefore, in addition to a security deposit equal to one and one-half month’s rent, the landlord may also require the tenant to pay a “reasonable” charge or fee (i.e., nonrefundable) for cleaning and/or redecorating, but the landlord cannot collect one more dollar for any type of refundable deposit (i.e., cleaning deposit, redecorating deposit, pet deposit, key deposit, etc.). COMMERCIAL. There are no laws limiting the amount of deposit(s) that a commercial landlord may charge a commercial tenant. There is also no requirement that the landlord return the deposit within a certain amount of days after termination of tenancy. Nevertheless, wrongful failure of the commercial landlord to return the deposit(s) would be a breach of contract by the commercial landlord. Must the landlord pay interest on deposits? Commercial and Residentil. No. There is no requirement in the Act or elsewhere in the law that compels a residential or commercial landlord to pay interest on any deposits held by the landlord, but a landlord could elect to pay interest on deposits, if desired.